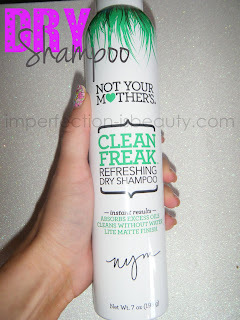 Clean Freak is the ultimate auickie to get that perfect hair. This salon formula dry shampoo will have your hair ready in no time. My first initial thought was that I finally found a dry shampoo that doesn't leave any white greyish residue. I started using this the past week and again it still leaves a little bit of white residue but its very light and it brushes right out unlike the TRESemme Dry Shampoo. 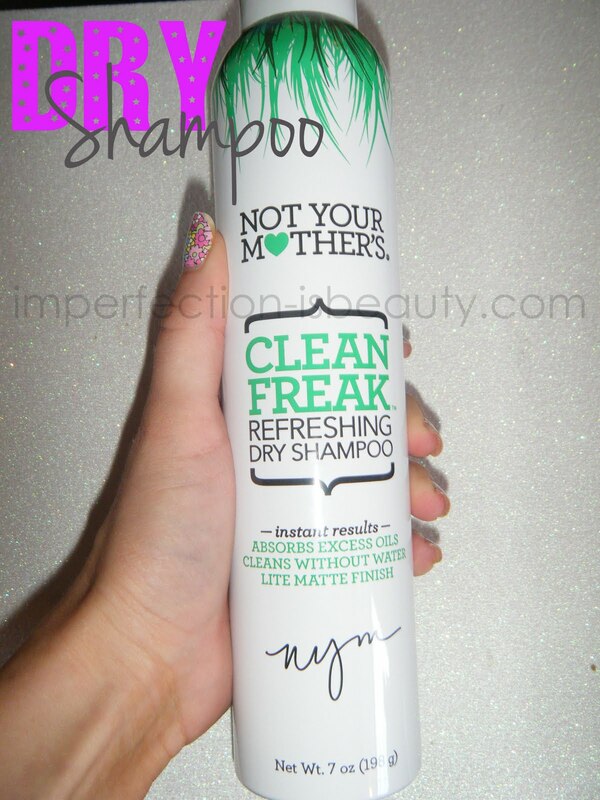 Not Your Mother’s Clean Freak Refreshing Dry Shampoo is to die for! I’m so in love with it! It is very easy to use and although it still leaves a small residue I love the fact that it brushes out so easily and it kind of helps from wasting product so you know where you have sprayed. The TRESemme is a lot more difficult to brush out, and doesn't smell as good. They both work well to make my hair look clean and fresh especially since my hair gets pretty oily when I don't wash it.Your hair seriously looks and feels as if you just washed your hair. Hope everyone enjoyed there Monday!